A friend gave me a recipe for this freeze and bake biscuit dough and it is amazing. I tweaked it a bit, and you can easily add other bits like dried fruit, nuts, seeds, chocolate and even spices. This is the basic recipe I use now. 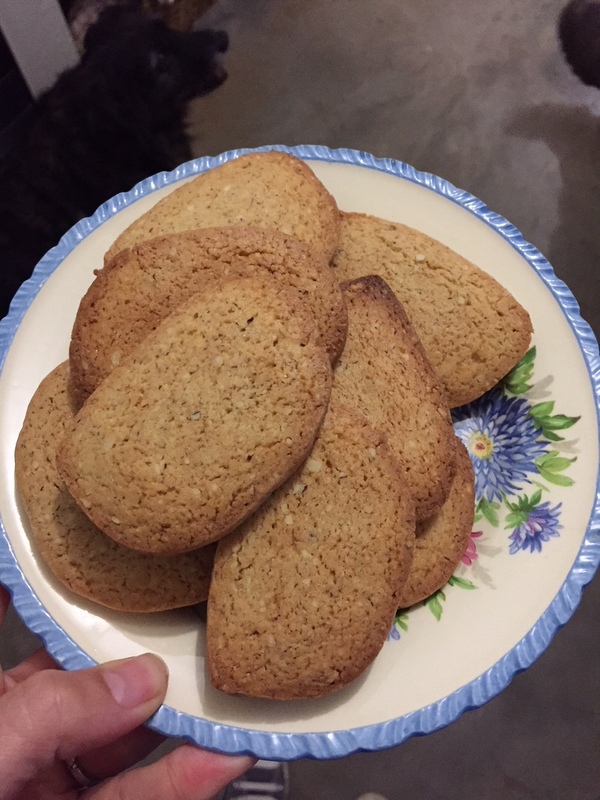 I love it because we don’t buy biscuits, but sometimes it is nice to have a little something, especially for last minute guests as you can slice a few and have them ready in 15 minutes! Roll into a sausage/snake and place in the freezer. You can wrap in wax cloth if you have it, or you could reuse a piece of plastic from some food packaging, then you can keep reusing it for this purpose. Or you can even cut in two and place in a plastic tub. 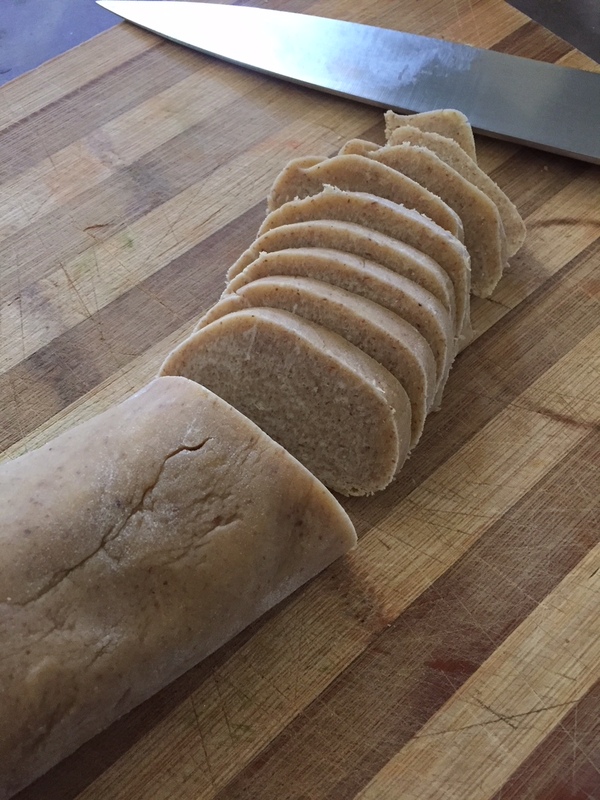 When you are ready to bake them, take out the freezer and slice into rounds just over 1/2 centimetre thick. Place on a baking tray and bake at 180deg for 12 – 15 minutes till slightly golden. Remember they will harden as they cool. Don’t be like me the first time I made biscuits and keep baking them till they are rock hard. Thanks Sandi, hope you enjoy it.